Cousins Conservatories are proud certified installers of Assure, so how does Assure benefit you? When it comes to improving your home with new windows and doors, it can be a daunting task to find a company that you can trust. Choosing an Assure-certified installer to complete the work means you can rest assured that the installation complies with Building Regulations and is therefore legal and correct. You will even be sent a certificate to prove it. This should arrive within 28 days and proves that the work is registered with the local authority. When you choose an Assure-certified company like Cousins, you can be assured that..
Windows and doors are the energy rated ones you ordered. 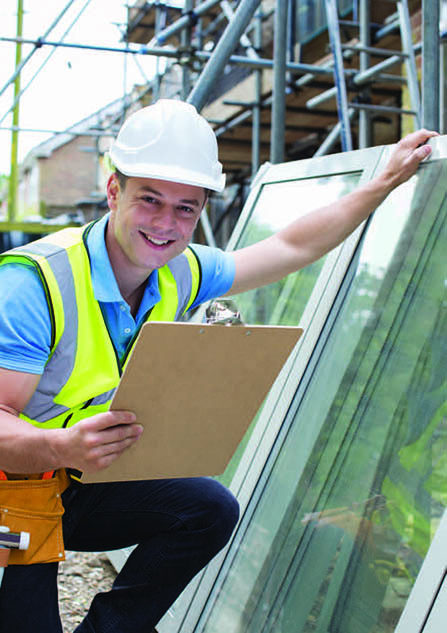 All installers and surveyors hold appropriate qualifications and are regularly audited to ensure that they are up to date with the latest regulations and have undertaken CPD (Continual Professional Development). If you have any questions in relation to our Assure Certified Installer status, please call 01403 255456 for more information.